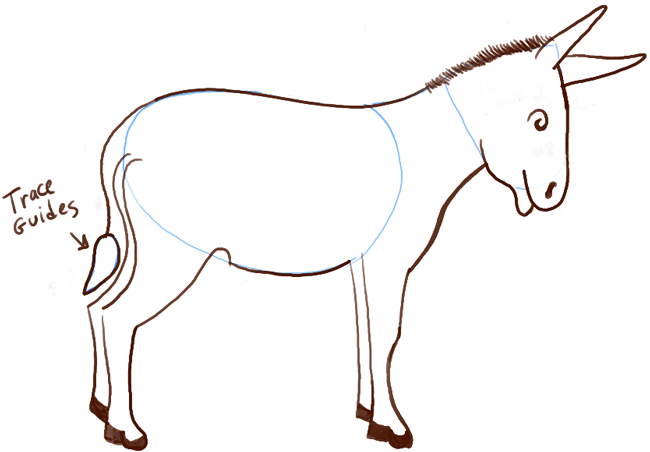 Today I will show you how to draw an adorable cartoon mule or donkey. The following tutorial will guide you thru each step by showing you simple shapes that you can draw each step with…such as geometric shapes, letters, and numbers. This is a perfect tutorial for children, as well as adults. Lightly draw an oval. Then draw a letter ‘P’-like shape. 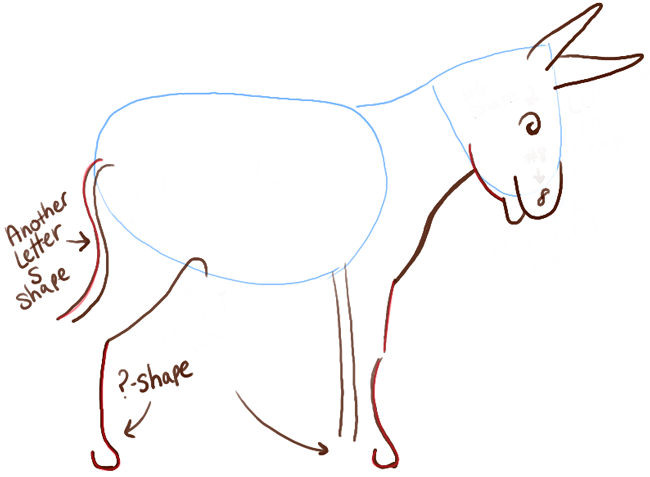 – Draw a letter ‘s’ shaped tail. – Draw 2 lines at the front of the oval shape. 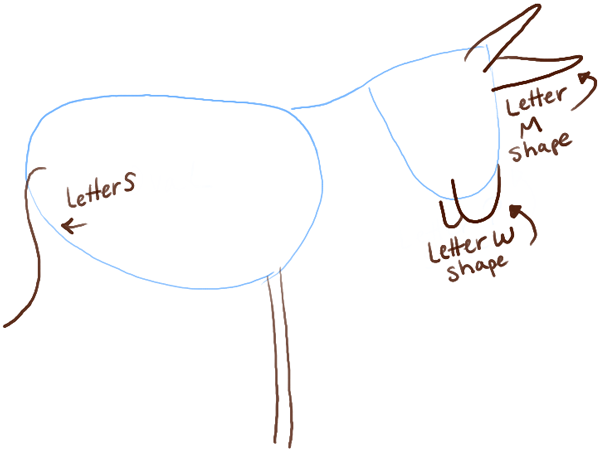 – Draw a letter ‘w’ shape for the mouth and letter ‘m’ shaped ears. 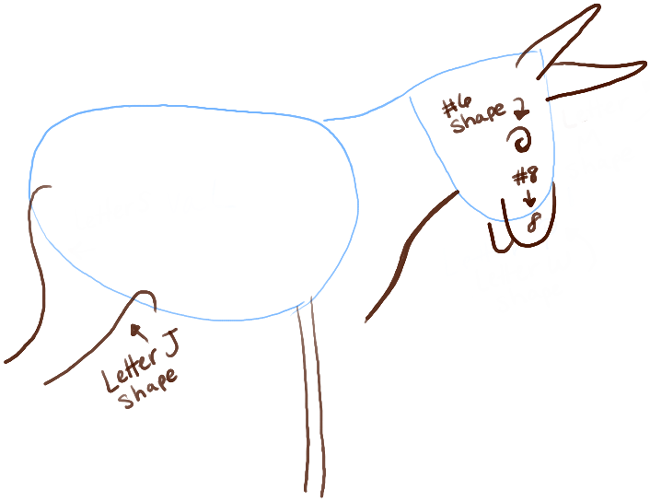 – Draw a sideways letter ‘J’ shape for the front of the back thight. – Draw the front of the neck. – Draw a #6-like eye and a #8-like shape nostril. – Draw another letter ‘s’ shape for the tail. – Draw a few more lines that you see above. – Draw letter ‘L’ shapes for the back of the feet. 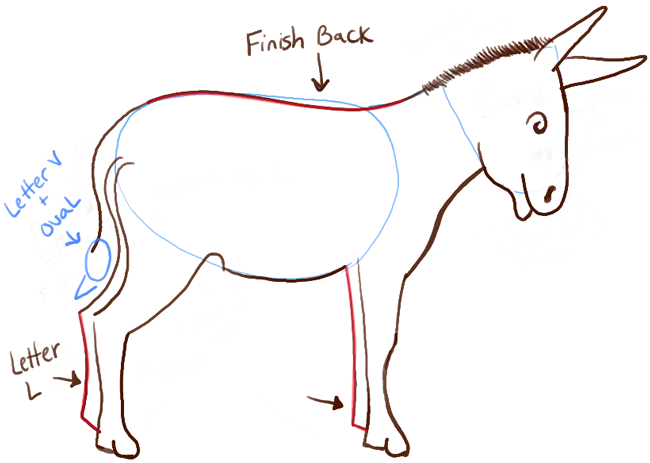 – Draw another letter ‘s’ like shape at the back of the horse. – Draw the belly and draw a curved line on the forehead. 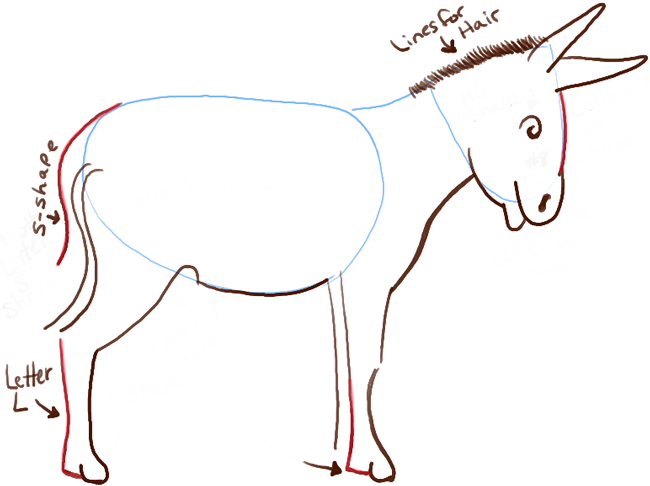 – Start drawing little lines for the hair / mane. – Draw 2 more letter ‘L’ shapes for the legs. – Lightly draw an oval and letter ‘v’ shape for the tail. – Draw the upper back. – Trace the guides for the tail. 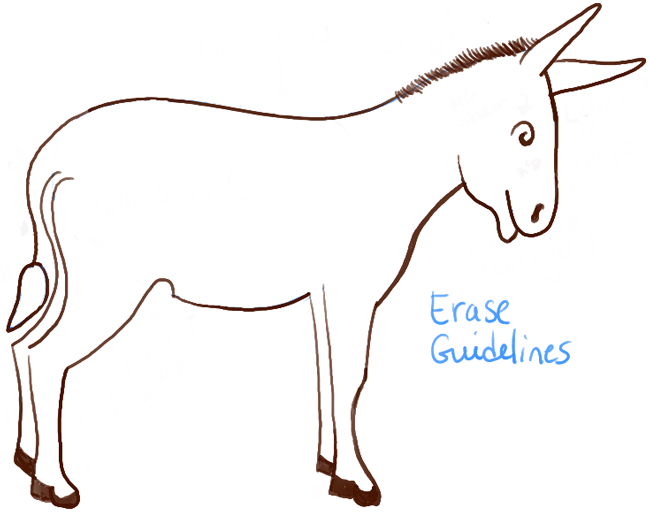 Erase guidelines (blue in this lesson). 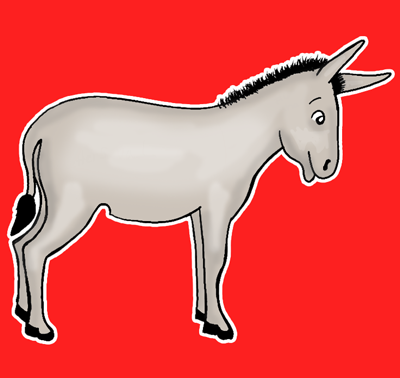 Thicken the lines and draw a bit more hair to make the donkey cuter. 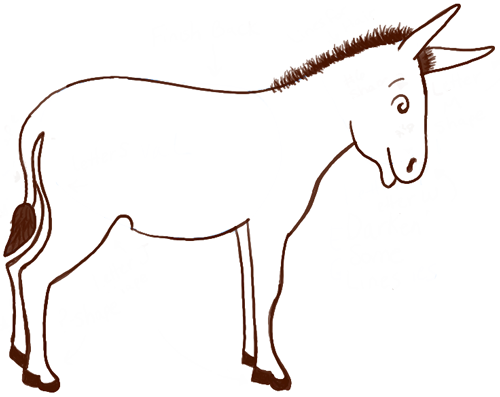 I hope that your drawing of a donkey turned out really good. Come back for even more drawing tutorials. it is very nice for some people thanks. I can’t draw this. Is there any easier way. This article was written on 24 Jan 2014, and is filled under Animals and Creatures.